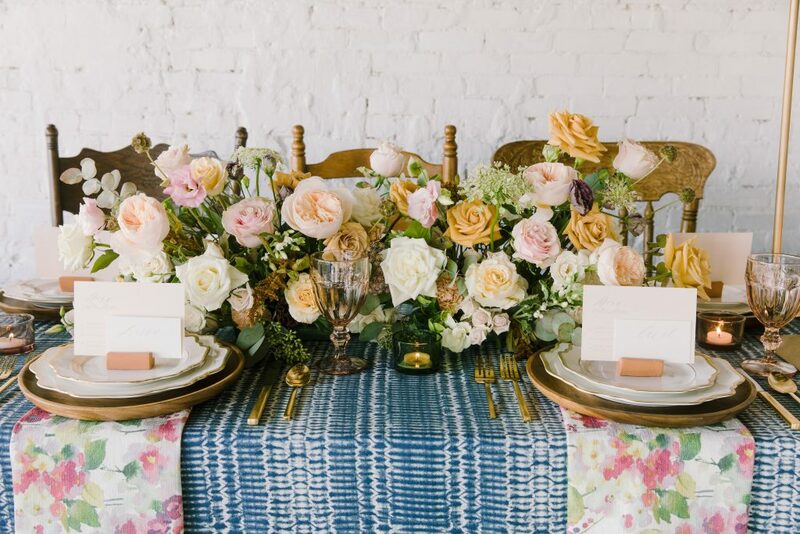 Laura Helm from Ashton Events was inspired for this bohemian shoot by the Batik tablecloths from Nuage Designs. Originating from Bali, Batik is a wax-resistant dye process. The result is a beautiful tie dye pattern that is fun, yet elegant. 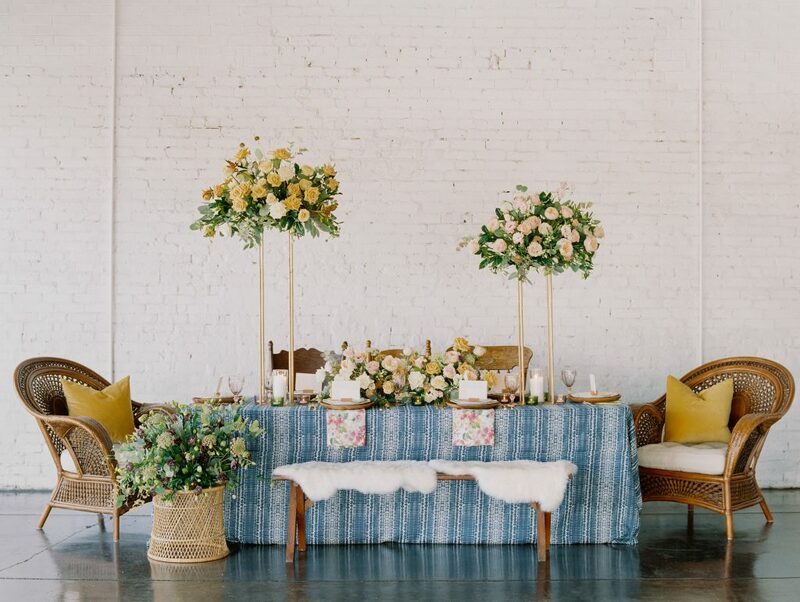 We love the combination of colors from the blue to mustard yellow and subtle hints of pink. 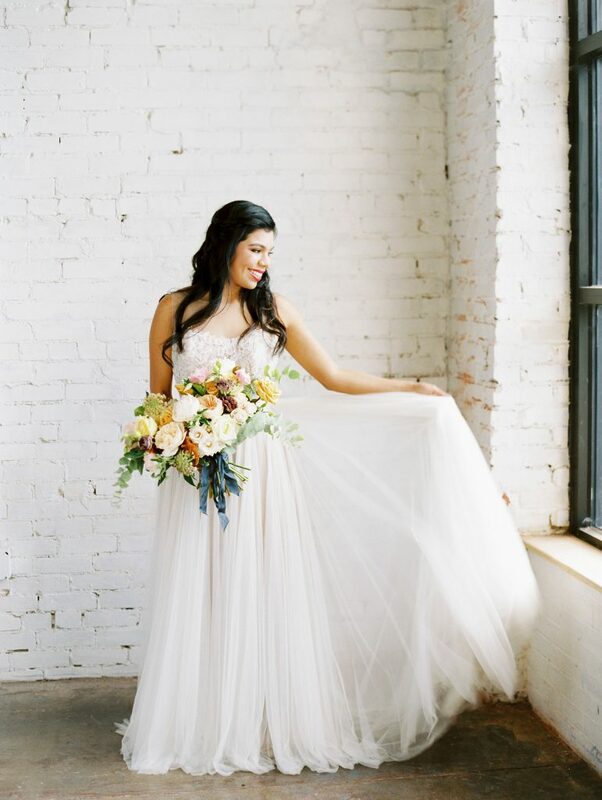 Our blank space provided the perfect canvas for this shoot captured by Justin DeMutiis. 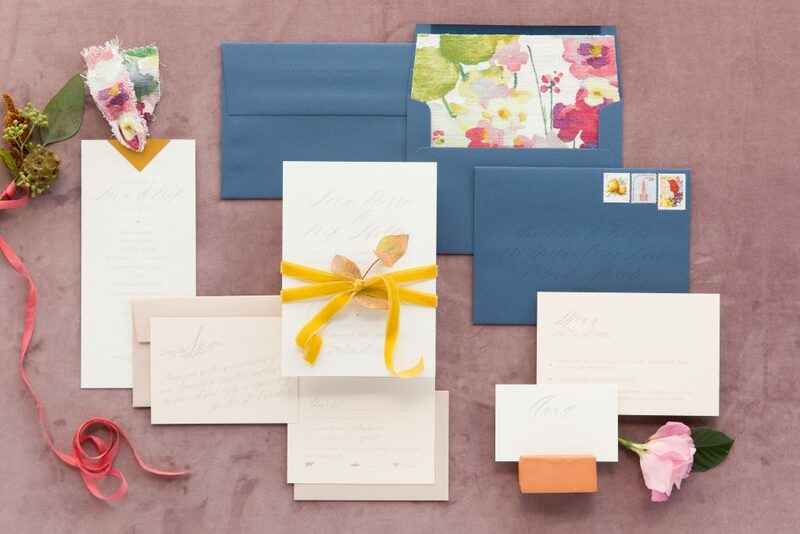 Eleven Note produced a mixture of elegance and florals for our paper products. 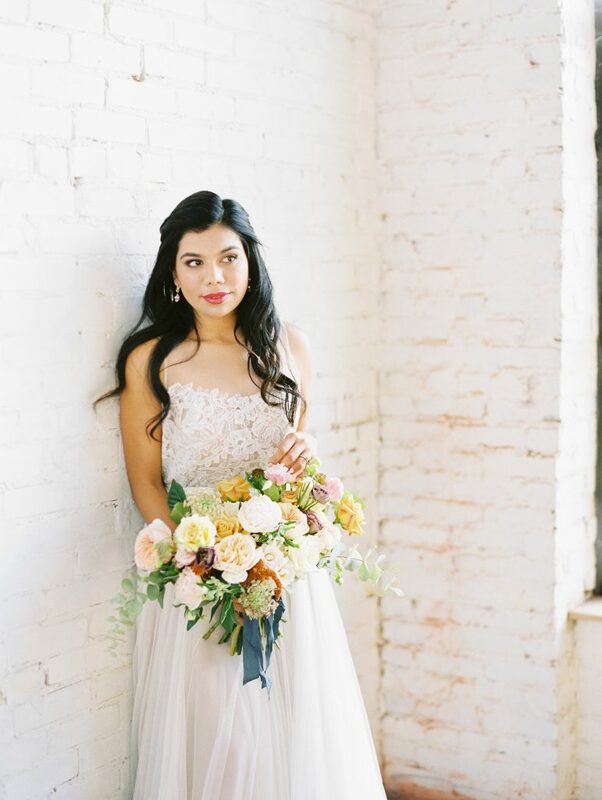 We love all her watercolor floral details that make this stationary cohesive with our look. Not only did Nuage Designs provide the indigo-colored tablecloth, but they also provided fun floral napkins to compliment Laura’s vision. 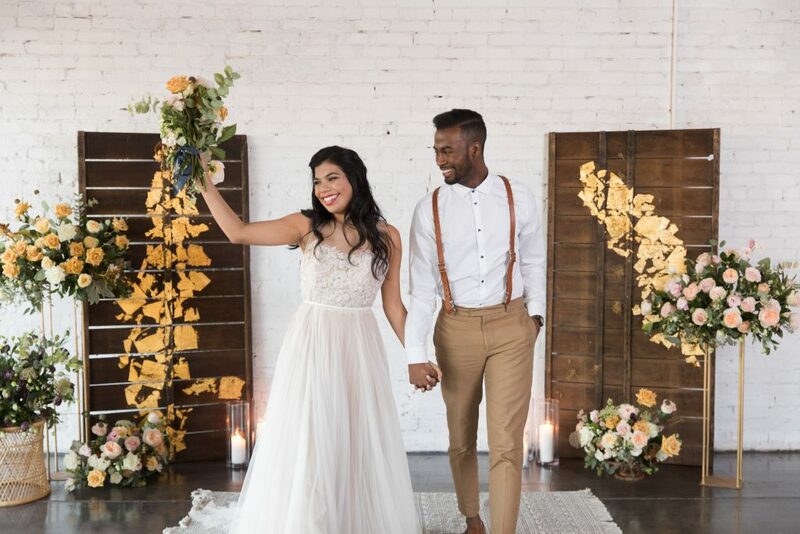 She said, “We loved the kaleidoscope of pastel colors for the napkins, and wanted to provide a lush, floral-heavy design for the blank space.” The tabletop rentals from chargers to glassware were provided by Treasury Rentals and we love the gold accents they brought to the table. 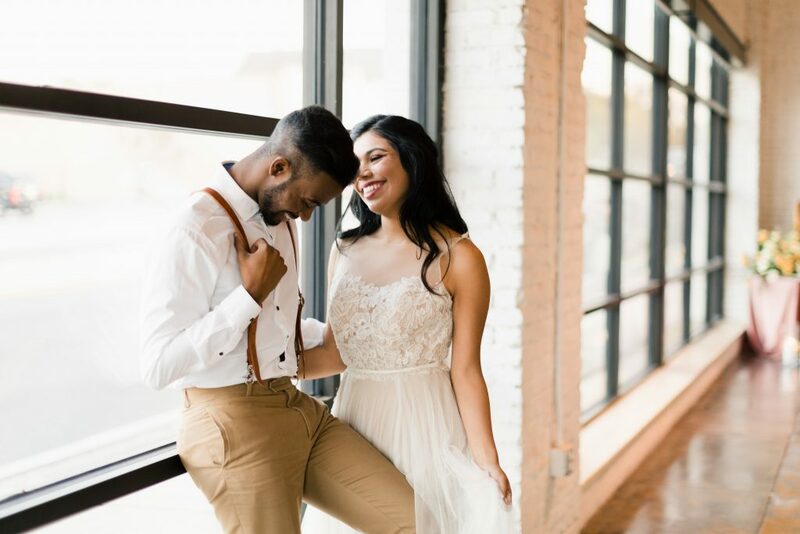 We love these bridal shots by our open windows. They provided the perfect natural lighting to compliment the florals made by Ashton Events as well. The bouquet tied in the color palette perfectly from the light greenery to the indigo ribbon. The ceremony space was eclectic and unique. 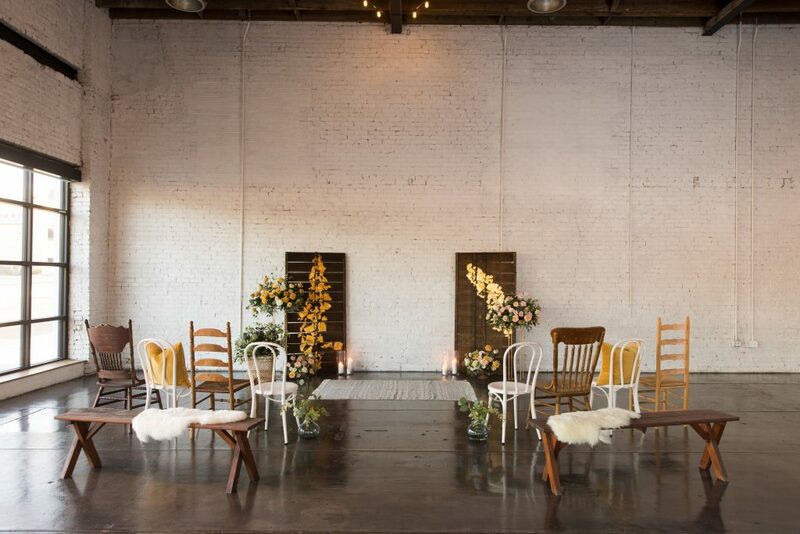 Between the mix of chairs to the wood backdrop with gold foil accents, Revel + Co and Wish Rents provided the perfect items for this beautiful ceremony. 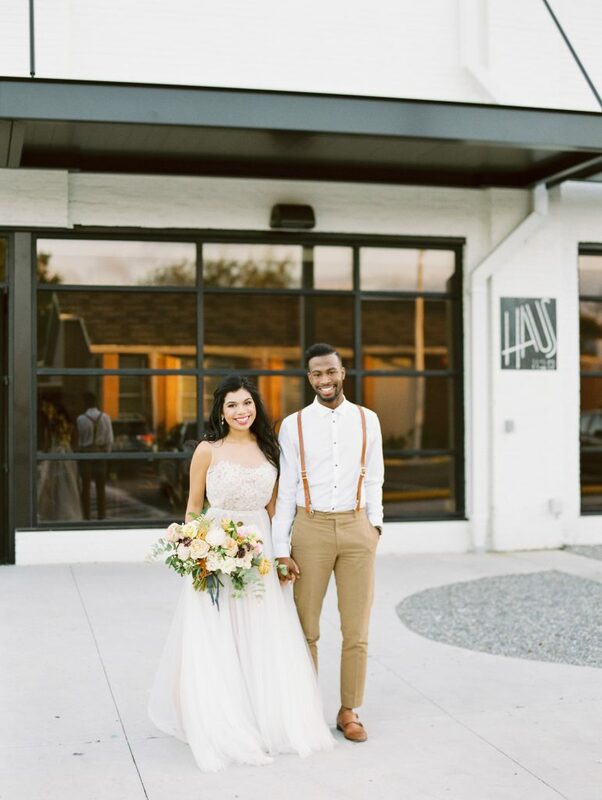 How cute is this bride and groom’s attire? 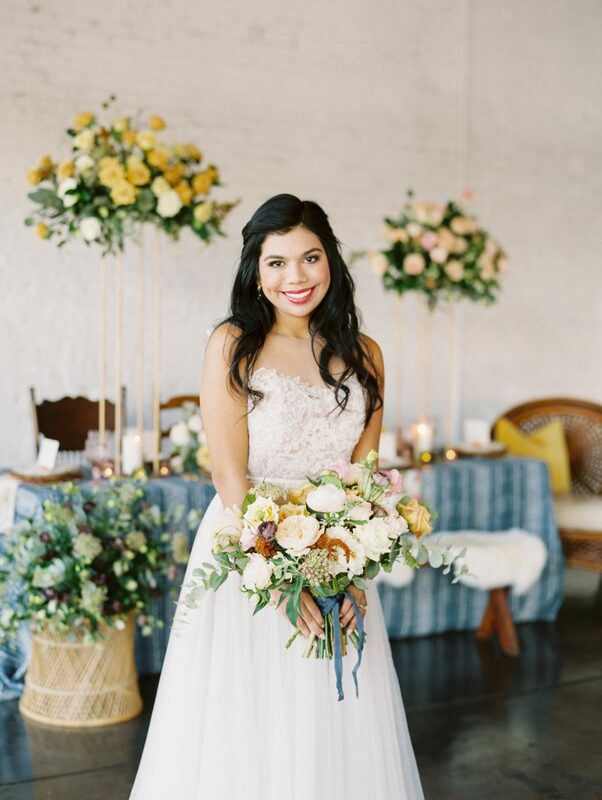 White Magnolia Bridal and Boondock Studios created the perfect look for this couple. Finally, we honor this clean and sophisticated cake brought by Fresco’s. 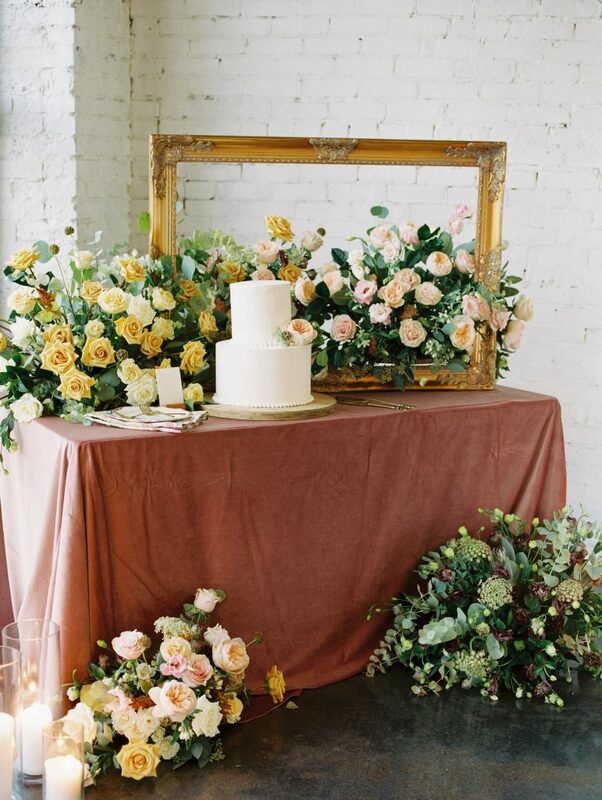 We love all the light colored florals and greenery that create a backdrop for this clean cake. Nuage Designs also provided this Mauve Linen! Thank you to all of the vendors that made this day possible! We love this shoot from the bohemian and Old-World look to the blank canvas that we provided to the new and fresh linens from Nuage Designs.